After six months of imprisonment, Carmen Davenport is unsure of the life that awaits her outside of the Metropolitan Correctional Facility. Eight months pregnant, she has spent the last few months of her life, sitting in a cold cell with only the thought of her unborn son, keeping her sane. Unexpectedly released from prison, she returns to Brookstone to discover that Flame is now a multi-million dollar enterprise. Carmen also learns that the city that took her captive is now home to federal agent, Michael Kane, the man responsible for her stint in prison. In addition, the father of her unborn child, Jay Santiago, has received a life sentence, and is destined to be wiped from her life. In a short amount of time, Carmen is faced with several important decisions regarding her empire and family. 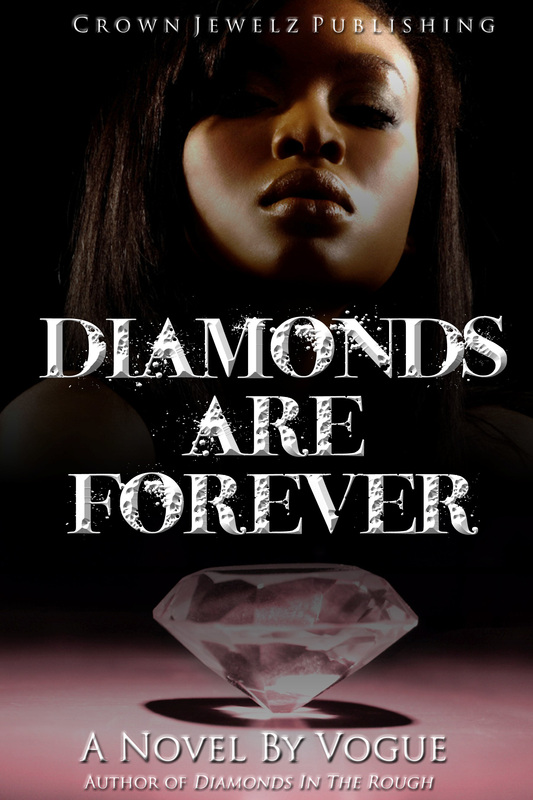 Diamonds Are Forever is a reunion with familiar characters and another look into the dramatic lives of Brookstone’s finest. After battling through the highs and lows of an intense and often dramatic relationship, fashion designer, Carmen Davenport, and business mogul, Jay Santiago, are finally ready to plan their most anticipated event to date – their wedding. However, before they can get down the aisle, they must endure a few unexpected surprises, twists, and turns. Hey soror I am so proud of you. From one author to another I know you will do well and can’t wait to read it. I saw you cover and I like it! Soror…Love it! You’ve inspired me to get back to my novel…..I keep putting it on the back burner to “handle my business”…..but writing is so my true love….When will the whole book be finished? I like them both but this new one…it’s something about the way the girl is looking at you. She looks sneaky! I subcribed to your newsletter and updates. Love you page. Keep it up. WOW! The cover looks great and the excerpt was awesome! I can’t wait to read this book. 1 of 10? You are a busy woman! Very awesome though! Great job on your book. I am looking forward to reading it and hope that it brings you much success and happiness! Thanks Kortney for the support and encouragement! Very Nice..i’m ready for my copy!!! Poodles!! Girl you got me wanting more….It was a little slow for me in the first part but now I’m on it. I want to finish reading it sounds good and I know it will be. Be blessed and keep up the good work. When is ace of diamonds coming out? I just bought diamonds are forever and I LOVE IT!!!!!!!!!!!!!!!!!!!!!!!!!!!! Also when will the whole collection be done? 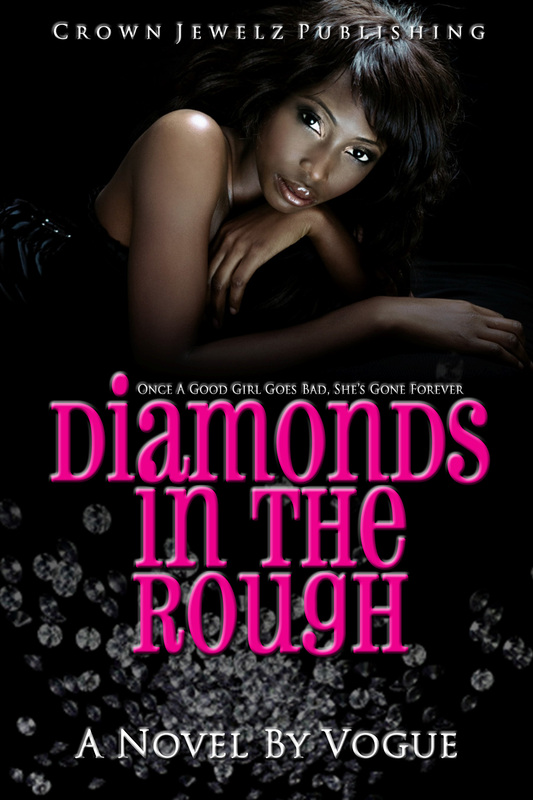 Shay, I’m glad you love Diamonds are Forever! As of right now, I have not submitted Ace of Diamonds to my publisher because I am still working on my rewrite of the novel. I’ve been going back and forth with some things regarding Carmen. My plan is to have it complete and submitted before the year is out! In terms of the whole collection, my plan is to have it complete sometime in 2011. Since I’m changing the original version of Ace of Diamonds, it effects the rest of the series. Thanks for the support! When is Black Diamonds coming out? 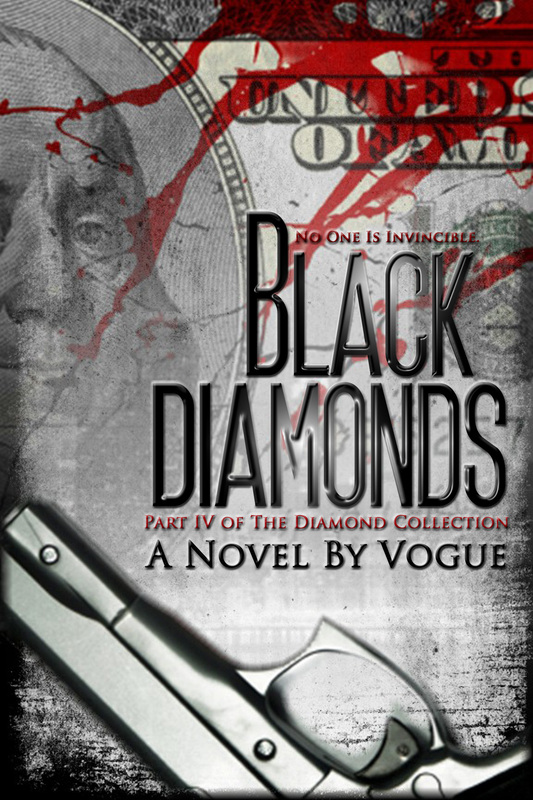 Black Diamonds is scheduled to be released in January of 2014. Ready for Black Diamonds NOW!!!! !